Here are the final broadcast ratings for Saturday, March 17, 2018. Finals Update: NCAA Basketball (1.9, +0.2) adjusted up. 'Dateline' (0.4, -0.2), a repeat of 'Deception' (0.3, -0.1), and a repeat of 'Superstore' (0.2, -0.1) adjusted down. On broadcast, CBS's airing of the NCAA Tournament (1.7) easily topped primetime. And, a 10:30 airing of '48 Hours' (0.9 posted an above-average result. NBC had an anemic repeat of recently-renewed 'Will & Grace' (0.2). Fortunately, an encore of 'Superstore' (0.3), an original 'Dateline' (0.6), and 'SNL Vintage' (0.6) performed better. 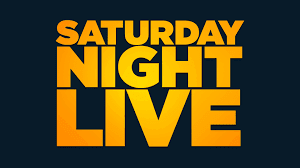 At 11:30, 'SNL'rose two-tenths from last week with host Bill Hader. ABC had a repeat of '20/20' (0.5) leading into pilot repeats of 'Deception' (0.4) and 'For the People' (0.3).